Sightseeing Rotterdam has a large network built up of resellers in Rotterdam. This network consists of various entrepreneurs and institutions in the field of leisure economy and tourism, civil servants and politicians but also with journalists and the media. 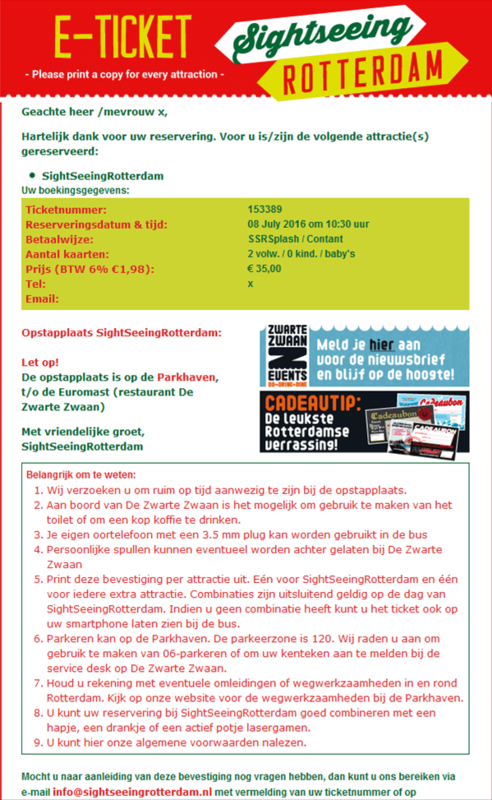 In addition to exploiting the large network wants Sightseeing Rotterdam together as much as possible work with fellow entrepreneurs in the port area and suppliers. Because only by working together it is possible to Rotterdam tourist more firmly on the map. The cooperation brings guest many fun and inexpensive combinations on.